It all has to start somewhere! For me, somewhere is right here right now….. My name is Matthew Fincher and I am the man who has been blessed with the opportunity to marry Ingrid, who has started this blog for us to follow our journey. 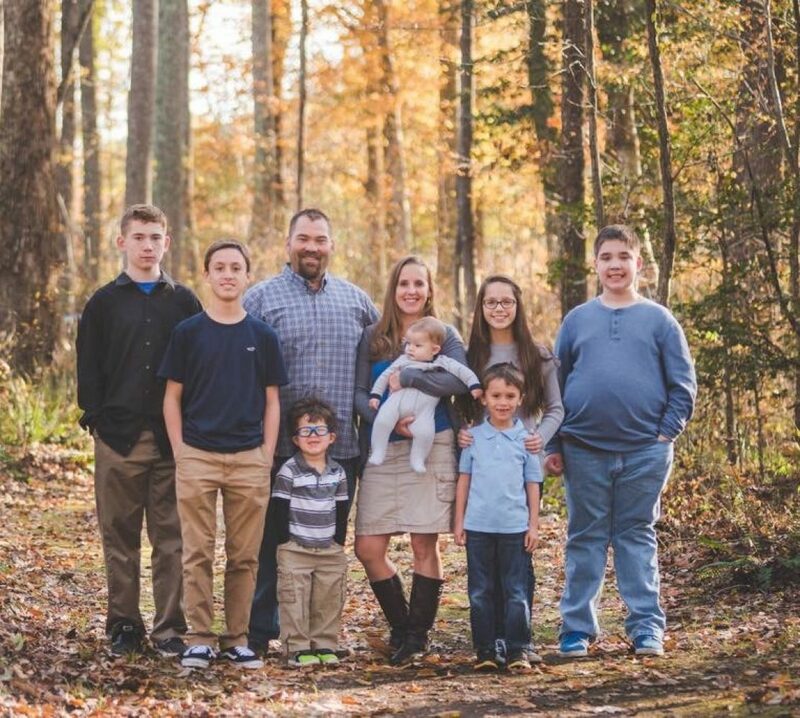 A journey of becoming one big blended family, a journey of raising our children to love God, love others and have servants hearts in all that they do. This is a pretty big mission, and by pretty big I meand the single largest and most importand duty that God has given us as parents. But like any journey, it hasnt started until you take the first step. I have been thinking and praying about this for a while, not really sure where to start, what to do or even if i should write yet. I think in my reading time tonight I was led to a passage in Philippians. Philippians 1:27-2:5 “Only conduct yourselves in a manner worthy of the gospel of Christ, so that whether I come and see you or remain absent, I will hear of you that you are standing firm in one spirit, with one mind striving together for the faith of the gospel;in no way alarmed by your opponents which is a sign of detruction for them, but of salvation for you, and that too, from God. For to you it has been granted for Christ’s sake, not only to believe in Him, but also to suffer for His sake, experienceing the same conflict which you saw in me, and now hear to be in me. Ok, do what I did and read that a couple of times, its a lot to take in. There are a few key points that Paul made that hit me right over the head. Unity, Suffering, Love, Humility, Selflessness and most importantly conforming to the likeness of Christ. As I read this and pray over this I am convicted that this starts with me! Are my actions and words humble, gentle, loving, selfless etc… Not as I would like them to be. If I want our children to live this way I cant tell them, I am going to have to show them. The one theme that keeps sticking out to me is Unity. That is such a wonderful concept, but it needs to be a reality. First and foremost our family needs to be unified and I dont just mean towards each other, we need to be unified in Christ. That is the first reason I fell in love with Ingrid, her love for the Lord. Before we even knew we had anything else in common, we knew we had Jesus in common. That is a pretty good place to start. It is our job to show our children that unity we have in Christ and then let that permeate our family. Christ put us first, and to die to ourselves and live for Christ, we need to be putting others first. Again, this starts with me. It is my prayer that as we embark on this journey, God would give me the strength to put others needs before my own, to be selfless and have a humble heart. I pray I would have heart overflowing with love towards Ingrid and our children and I pray that our children will follow the example that I try to set. Unified in Christ, unified as a family and putting others needs above our own is my “somewhere”. This is where I will be starting. If we can start here, we will be on the right path of being more thankful. We will have hearts overflowing with appreciation of God, of others, of ourselves and of all that God has given us. Thank you so much for what you have brought together in this family. Thank you for Ingrid and her gratful heart. I ask for wisdom and guidance as we start this life together. Please allow me to set this example of your love and give me a thankful heart. Please lead Ingrid and I as we lead our children to you and teach them to be Thankful children of Christ. I love this! I have read it several times and this certainly speaks to me directing me to evaluate my own heart and actions. Actions speak louder than words. This is the perfect place to start and I am so very blessed, happy and excited as we begin our journey, somewhere is right here and right now. I was listening to a sermon earlier and the pastor talks about not expecting perfection from others when we cannot offer perfection ourselves, this really puts it into such a clear perspective for me, we cannot expect from our children what we as parents are not able to do. In order for us to be the example we will need to open our hearts to God, stay close in prayer and allow Him to be the center of everything in our lives most importantly our relationship with each other and our children. I will start “somewhere” with you Matt right here and now to work to be unified in Christ, unified as a family putting others needs ahead of our own.